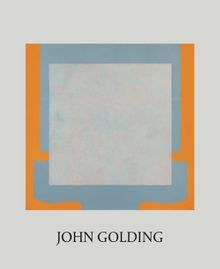 John Golding (1929-2012) was a British artist, scholar and curator. Perhaps best known for his seminal book Cubism: A history and an Analysis 1907-1914, he considered himself primarily a painter and exhibited extensively both in the UK and internationally during a career that spanned almost six decades. His work was additionally shown alongside Bridget Riley, John Hoyland, Frank Auerbach, Peter Blake and David Hockney in important group exhibitions such as British Painting 74’ at Hayward Gallery and British Painting 1952-77 at the Royal Academy of Arts. Clth, 10.13 x 11.75 in. / 258 pgs / illustrated throughout.